Worcester Love - The video guide to Worcester County (Central Massachusetts). Order your Worcester Love Season One DVD and give the gift of Love–Worcester Love! Award winning film producer-actress Andrea Ajemian and internationally known DJ-music producer Kaz Gamble host Worcester Love-the online video guide to everything there is to love about Worcester County-Central Massachusetts with an emphasis on locally owned businesses, cultural diversity, and environmental sustainability. Comical five minute episodes are jam-packed with fun facts about places to see and things to do in Worcester County-Central Massachusetts. Show your Worcester Love by owning the DVD premiere of the hit online show from Worcesterlove.com! You need the newest FLASH PLAYER to play the high quality videos of Worcester Love. Filmed entirely in Central Mass by Andrea Ajemian (Producer) & Kaz Gamble (Composer). Thanks for watching Worcester Love–see you next week! 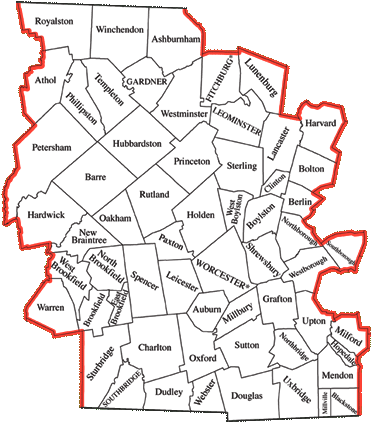 From Sturbridge to Harvard, Royalston to Blackstone, Westborough to West Brookfield–There is so much to see and do in Worcester County (Central Massachusetts)–WorcesterLove.com is the video guide to help you plan your adventure.